DiPietro, who missed most of last season with a groin injury that required surgery, is keeping warm by playing for SC Riessersee, in Germany's second division. Did I say "playing?" I meant rehabbing another injury. 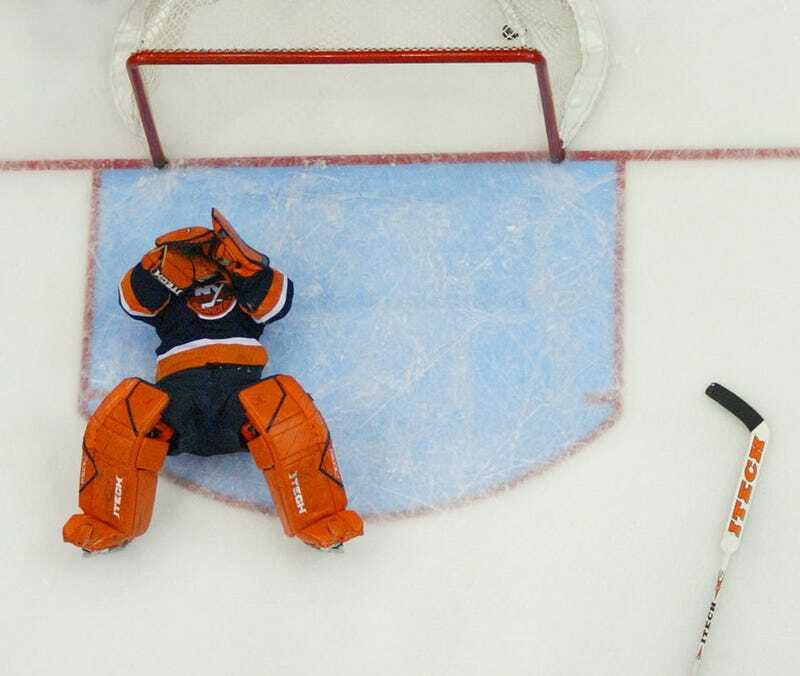 Rick DiPietro is suffering since Thursday to a groin problem. DiPietro's loss was something of a godsend for the guests. We obviously don't know how bad it is, or how much time he'll miss, but it's sad for DiPietro and disheartening for the Islanders, who have him locked up through 2021. We also very much wonder how Riessersee could afford his insurance premiums. Update, 8:05 EST: DiPietro tells The Post that the report is "not true at all."